I love finding out about new things happening in my city. This fall, I was thrilled to hear about THE GLOW, which opened a new location here in Western Pennsylvania. I was even more thrilled when I got an invite for a free media pass. This past weekend, my mama and I headed to the new attraction. And it was fabulous. Why, yes. That is Smaug in the background. 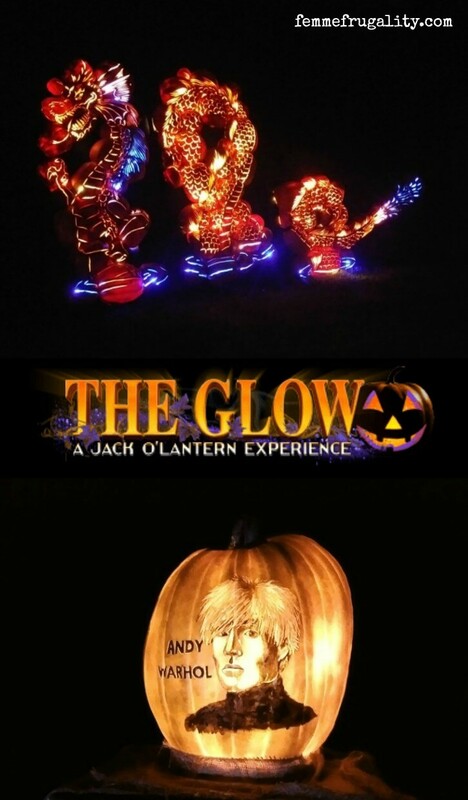 THE GLOW is an outdoor trail lined with magnificent jack-o-lantern art. At the beginning of the trail where you wait for entrance, the ambiance is already at a ten as the woods near Hartwood Acres are lit with spooky but not scary colored lights. Then, as you walk in, you’re greeted by adorable jack-o-lanterns, some of which have the word “Welcome” in a ton of different languages. 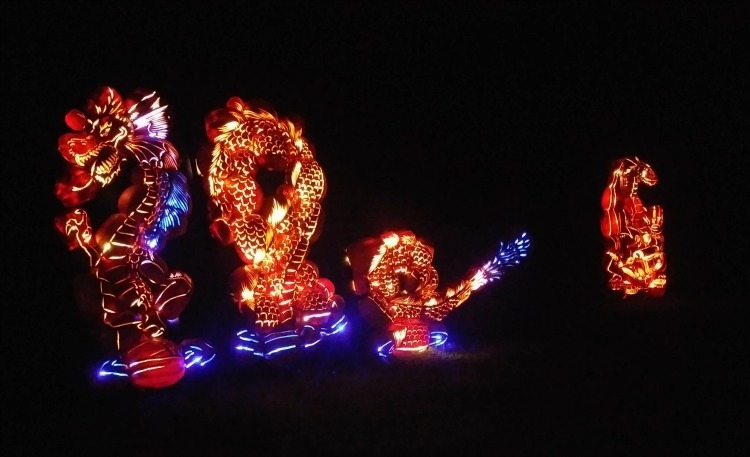 As we went down the path, we saw sea turtles and jellyfish, skeletons riding motorcycles, dinosaurs and fossils, superheroes, cartoon characters and local legends all carved from pumpkins. These larger than life art installments were a wonder to behold. These dinosaurs are over 16 feet tall! Click this pic to expand and get a better view. Right before the end of the trail, there were some pumpkins with digital faces singing Imagine Dragons. 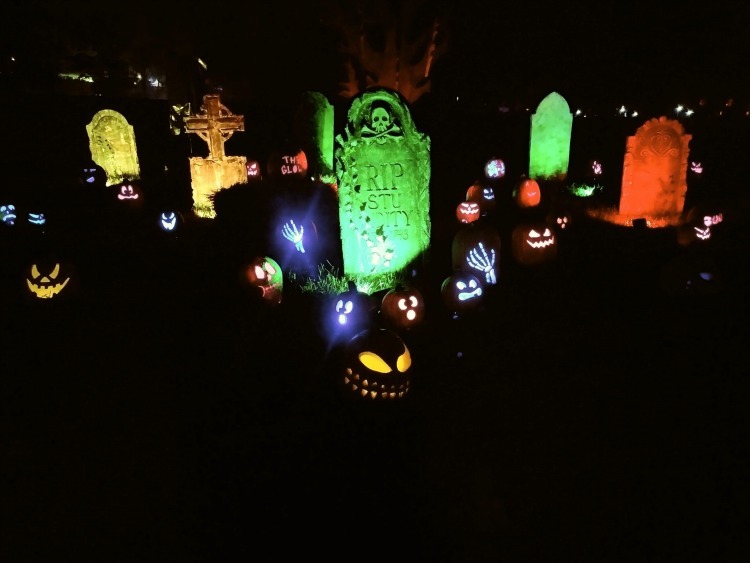 The whole thing was fun and creative and unique–a new way to celebrate the Halloween season. At the end of the trail, you pass through a pumpkin patch. 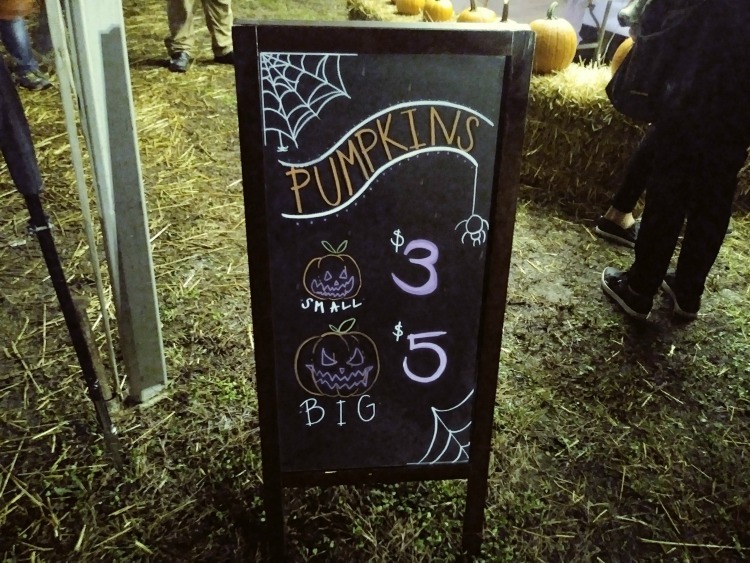 Instead of pricing pumpkins by the pound, they’re priced at a flat rate of $3 for small pumpkins and $5 for large pumpkins. This is WAY cheaper than what I’ve paid in the past going to pumpkin farms! 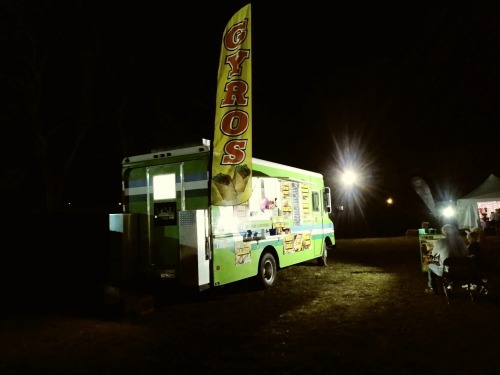 There’s also a pumpkin carver, a souvenir stand and a gyro truck which is so authentic it offers halal. 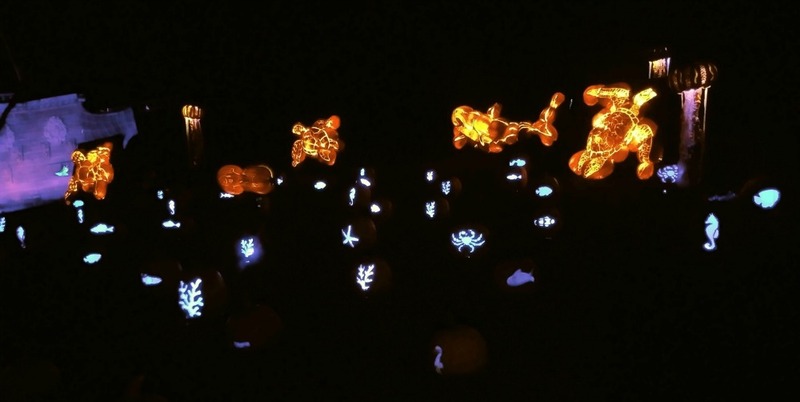 Those are jellyfish made of pumpkins in the top right! Click to expand this pic and see the detail better. NOTE: Be sure to type the address into your phone exactly as it is listed on the website. I may have gotten lost because I got overconfident with my knowledge of the local area. I ended up at the mansion (not where you want to go) and had to phone it in for help! It’s really easy to find if you just listen to your maps app, though. Be still, my yinzer heart! Click on this one to expand. This is the grave of Stu Pidity. If only. Yes, yes, yes. 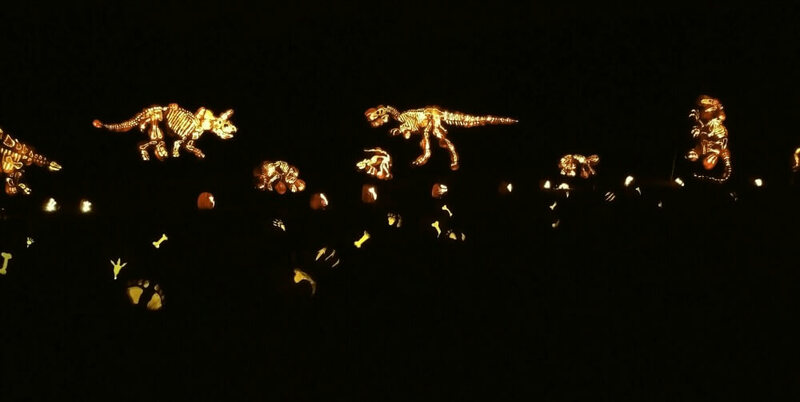 This was a really cool attraction, and I loved the modestly-priced pumpkin patch at the end. It’s something completely unique, family-friendly, and seasonal without being the least bit scary. 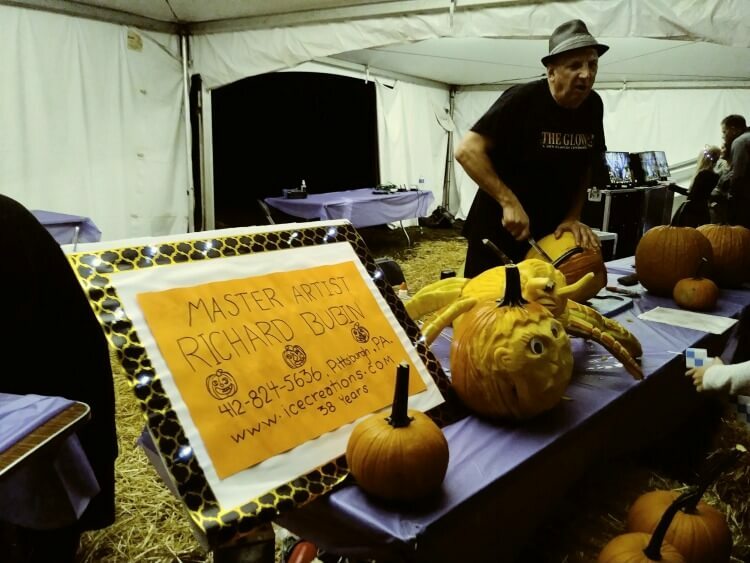 Definitely a fun alternative to the pumpkin patch, or just a fun night out this October! 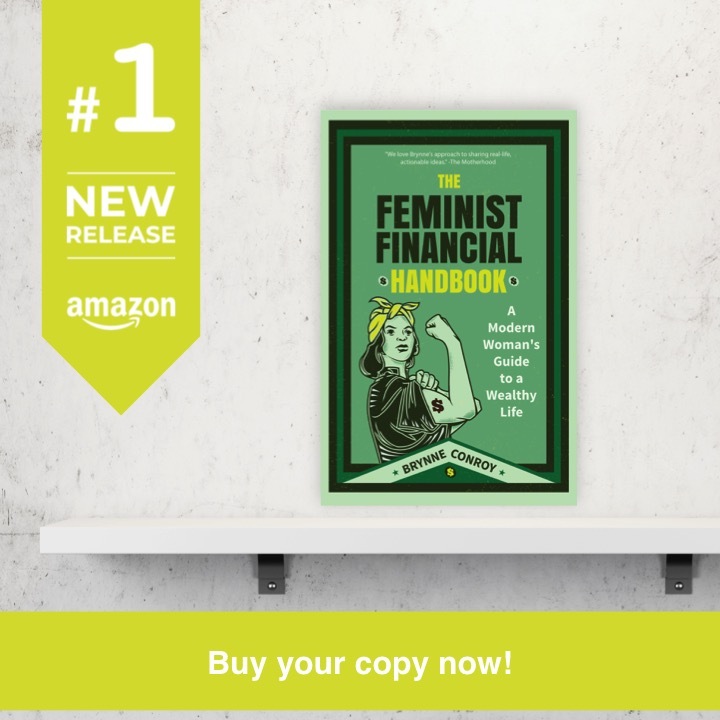 This entry was posted in Pittsburgh on October 8, 2018 by femmefrugality.